Victims of bullying may suffer mental and physical consequences even after bullying occurs, research shows. A new study in the journal Pediatrics finds that bullying is associated with poor physical and mental health among children, particularly among those who were bullied in the past and are being currently bullied. The effects were strongest among children who were bullied continuously, in more than one grade, particularly in terms of psychological health, said lead author Laura Bogart, associate professor of pediatrics at Boston Children's Hospital. Psychological measures included negative emotions such as anger and depression. From cyber-bullying that could threaten your teen’s self-esteem, to dangerous distractions that could cause you to crash while driving your kids, here’s a look at five important studies about the health of children being presented this week at a large pediatric conference in Washington. 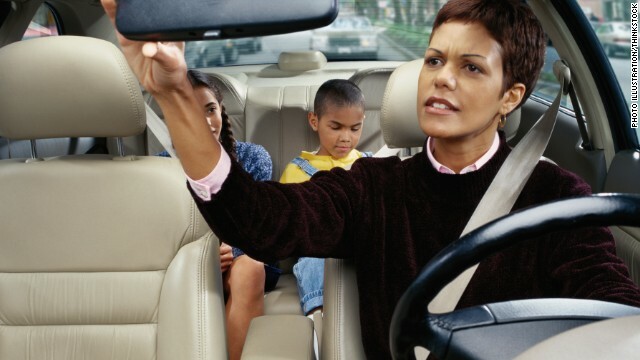 Researchers asked 600 parents what distractions they encountered while driving their most precious cargo: Their children. Among the interruptions: Talking on the phone, texting, surfing the Internet, checking a navigation system, and changing a CD or DVD. Almost 90% of parents admitted to doing at least one of these technology-based distractions. Does it 'get better' for bullied gay or bisexual youth? The answer to that question depends on how you look at it, according to a study published in the journal Pediatrics. Lesbian, gay and bisexual (LGB) adolescents are victims of bullying twice as often as their heterosexual peers. But research finds that the overall incidence decreases after high school, particularly among girls. However, the scars of emotional distress remain significantly higher in LGB youth. "What we see is, slightly over half of LGB teens are bullied when they're ages 13 to 14, and then when they're ages 19 to 20, the rates of bullying are fewer than 10 percent," said study author Joseph Robinson from the Department of Educational Psychology at University of Illinois at Urbana-Champaign. Editor's note: In the Human Factor, we profile survivors who have overcome the odds. Confronting a life obstacle – injury, illness or other hardship – they tapped their inner strength and found resilience they didn't know they possessed. Jake Zeldin, 13, endured a lot of bullying, from classmates and even some teachers, all because he has a severe stutter. Then he discovered rap. He took the stage at the "We Day" event in Toronto, Ontario, last month. September 28, 2012, was the most awesome moment that I have ever experienced in my whole entire life. My first reaction was that I was so excited. I could not wait to get to the Air Canada Center and rock the stage. After two weeks of practicing, I was about to go on the same stage as Jay-Z, Kanye West, Elton John and all of my other favorites. So many emotions were running through my head. I started thinking about how different my life was a year ago - how it was so hard to get through a day because of the way people teased me and bullied me. All I wanted to do was to show people how well I could rap. It was the only thing I wanted to do. There is no question that venomous, nasty insults hurled across the cafeteria or in school hallways hurt. A new survey published in the Journal of Adolescent Health finds that for victims of cyber bullying (insults that occur online or via text), that hurt may be more pronounced. "Unlike traditional bullying which usually involves a face-to-face confrontation, cyber victims may not see or identify their harasser," according to the survey. "As such, cyber victims may be more likely to feel isolated, dehumanized or helpless at the time of the attack." It used to be that the bully in the schoolyard taunted victims face to face. 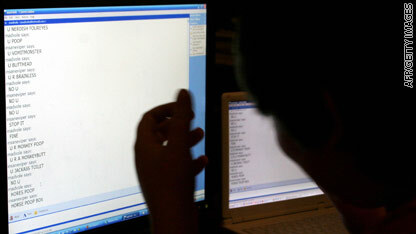 Today, attacks of name calling or being the target of rumors can come via e-mails and text messages, sometimes anonymously, from a teenage cyberbully sitting at a computer or texting on a cell phone long after the school bell has rung and the halls have gone dark. Now, new research is painting a worrisome portrait of those attackers and their victims. A study published in this month's Archives of General Psychiatry examined the social and psychological risk factors associated with cyberbullying. 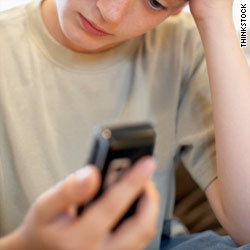 Researchers in Finland surveyed more than 2,200 teens in the seventh and ninth grades. The study found the majority of victims who were repeatedly attacked in cyberspace perceived a definite or severe amount of difficulty in their lives. They reported having headaches, ongoing physical pains and trouble sleeping. One in four felt unsafe.